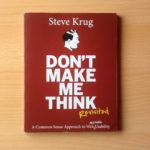 Would you like to use Twitter in a more meaningful way? Are you trying to build better relationships or reach the right people? 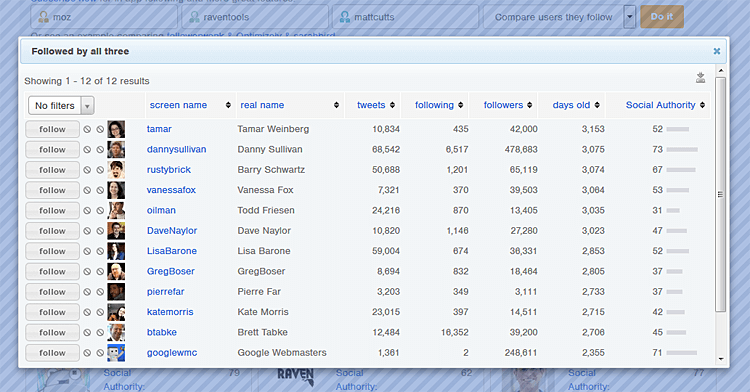 There’s an excellent freemium tool for Twitter search, discovery and analysis called Followerwonk. It was acquired by the well known and equally respected SaaS SEO brand Moz in 2012, gaining numerous mentions across the web in tutorials, podcasts, videos etc. This is the most useful feature for me. I like to search Twitter bios for certain keywords in order to follow particular users knowing there’s a good chance they’ll follow back. I often add these users to Twitter lists and may comment on or retweet their tweets. It could result in a direct message (DM) conversation for business or collaboration purposes. One way I am using it is to launch a social club in either Nottingham or Derby, near to where I live. This WordPress meetup has had a couple of Twitter accounts set up for it and one way to get some targeted followers (and some good conversation) is to seek out those who are probably already interested in the subject. Another feature is being able to compare up to three Twitter users and see roughly how many of the same accounts these users are following. 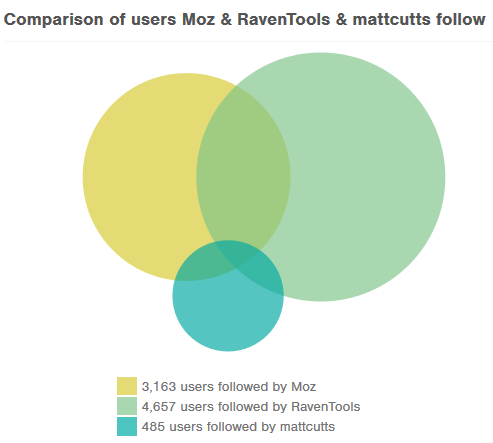 If you want to get the really juice data, you have to subscribe (pay) but I like to look at the free data, such as this Twitter users followed comparison between Moz, Raven Tools & Matt Cutts. If you didn’t know, those three accounts in the example are all SEO related users. It seems natural to assume they are following some of the same Twitter accounts because of the shared interest they have in search engine technology, insights, discussion etc. Run the comparison and Followerwonk spits out something resembling a venn diagram. This gives you a quick idea of where the common ground is, and you can actually discover who the most commonly followed users are between the three accounts. This is useful if you’re wanting to have a conversation with a particular user, or maybe view their content to gain some marketing intel. Even under the free account, the analysis data provided is pretty good! Enter a Twitter user’s handle and you’ll be presented with insights about who they follow or who follows them. The data includes gender, age, location, language, hours most active, bio word cloud, and types of tweets. There’s also information revealing at what time of the day the user you’re analysing is most active. I searched by own twitter handle which is @SmallBizGeekUK and you can look at those results here. You’ll notice among other things, that my most active time of day is between 21:00 and 22:00. This is because I participate in a weekly tweetchat called #SmallBizHour from 9pm. If you subscribe, there are other features including Track Followers and Sort Followers. I’ve only ever used the free version so I don’t have access to those, but there is the opportunity to take a 30 day free trial to test it out.